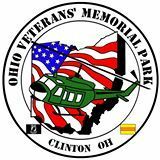 The Ohio Veterans’ Memorial Park has an annual 5K/10K Run to the Wall that is part of the Subway Challenge Series Races. This year’s race will be held on Saturday, August 6, 2016. For more information, you can go to www.runforovmp.com. There is also an annual motorcycle ride to honor Ohio’s heroes. This year’s ride will take place on Sunday, September 11, 2016 and begins at the MAPS Museum in North Canton, Ohio. For more information on this event, please go to www.3095ride.com.